This is a guest post by Laura Schoenfeld, a Registered Dietitian with a Master’s degree in Public Health, and staff nutritionist for ChrisKresser.com. You can learn more about Laura by checking out her popular blog or visiting her on Facebook. And if you need one-on-one help with your diet, click here to learn more about her nutrition consulting services. Recently, I wrote an article about the potential pitfalls of following an excessively low carb diet, and the symptoms to watch out for to know if you’d benefit from adding carbs back into your diet. While I repeatedly pointed out that there are many people who thrive on a very low carb or ketogenic approach, there were commenters who staunchly disagreed with my recommendations. 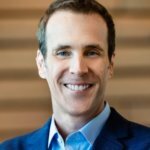 While I stand by my original article (as well as Chris’s subsequent supporting articles here and here), I wanted to make sure that those who would benefit from a very low carbohydrate or ketogenic diet were aware of the positive impact this nutritional approach can have when implemented correctly. Yes, you read that correctly: there are many people who can do incredibly well on a properly designed, nutritionally adequate ketogenic diet. Some people find that they thrive on a very low carb or ketogenic diet. Could you be one of them? In this article, I’ll describe seven different classes of people who could experience improved health and wellbeing by following a ketogenic diet, as well as briefly explain the precautions you’ll need to take if choosing to experiment with this therapeutic diet strategy. One of the biggest draws of a low carbohydrate diet is that it can be a highly effective tool for rapid weight loss, especially in those who are significantly overweight and/or obese. When compared to low fat diets, dozens of studies show that a very low carb approach can be help those who are overweight lose weight, maintain lean muscle mass, and improve many of the metabolic risk factors for diabetes and heart disease, including elevated triglycerides, low HDL, and chronically elevated blood sugar. There’s no denying that a low carb diet can be a highly effective obesity treatment. Most people believe low carb diets cause weight loss so rapidly by lowering circulating insulin, but another reason why low carb dieting may promote weight loss is because these diets frequently lead to a spontaneous reduction in overall food intake. Combining that with low insulin and high glucagon levels is generally a recipe for immediate weight loss, though this is not always sustainable for a variety of reasons. The longer a person stays on a low carb diet, the more they may start to find ways to make their diet more palatable, and thus increase their overall calorie intake. Also, as weight loss occurs, a person’s overall calorie expenditure will drop, meaning that the same amount of food that made them lose weight in the first place will eventually cause them to maintain their weight – the dreaded “plateau”. If you’re eating more calories than you’re expending, even on a low carb diet, you won’t lose weight. If you’re using low carb as a weight loss diet, this doesn’t give you license to eat high fat foods in unlimited quantities. Eat good quality protein, plenty of non-starchy vegetables, and enough fat to meet your daily needs without going overboard and you may find that a nutrient-dense low carb diet is the perfect strategy for sustainable weight loss and reversal of metabolic syndrome. And remember – obesity is a far different health situation than trying to “lose the last 10 pounds”, so many of the same weight loss principles that work well for people who are significantly overweight may not work so well for those trying to reach their ideal “look good naked” weight. Keep that in mind when considering how much weight you want to lose and whether or not it’s truly necessary for health purposes. Those who don’t really have much excess weight to lose may be more prone to the potential problems with a long term low-carb diet. Blood sugar control plays an important part in weight management as well as the prevention of chronic disease, including diabetes, heart disease, cancer, and possibly even Alzheimer’s disease, among others. If your blood sugar is always elevated, you’re at an exponentially higher risk for dozens of diseases, and you’re more likely to die earlier from these diseases as well. So if you have consistently high blood sugar, you’ll likely find that reducing your carbohydrate intake significantly can bring that number down quickly, particularly if you’re relatively sedentary. Low carb diets can also be helpful in reactive hypoglycemia, a condition where blood sugar drops too low following a meal, causing symptoms such as dizziness, anxiety, shakiness, hunger, and confusion. This issue can be made worse by caffeine and stress, and I find it more commonly in my clients with adrenal issues. A common cause of this reaction is when a meal too high in easily absorbed carbohydrates is consumed, and blood sugar rises rapidly, leading to a release of insulin. The insulin causes a subsequent drop in blood sugar, and this drop can sometimes go too low or happen too quickly, leading to the hypoglycemic symptoms. If you’re someone who eats a lot of sugar-laden foods, or generally is eating a high carb, low fat diet, you may be more prone to these blood sugar swings that can lead to hypoglycemia symptoms. In this case, a reduction in carbs and an increase in fat at meals will help keep your blood sugar levels steady, and get you off the blood sugar roller coaster. But if you’re already eating a very low carbohydrate diet, a bit of healthy carbs at each meal may actually help normalize your blood sugar too, so it’s important to consider your current dietary habits before dropping your carbs any lower. And if you’re completely unsure where you stand on this issue, it might be worthwhile getting some help with your diet! One of the oldest uses of a ketogenic diet has been the treatment of seizure disorders – even the Bible refers to fasting as a treatment for “fits”, and the ketogenic diet has been used by doctors as a treatment for epilepsy since the early 1900s. Though the creation of anti-seizure medication significantly reduced the reliance on this treatment, there has been a surge in the demand for this therapeutic diet over the past 20 years. These days, there are even dietitians who specialize in the ketogenic diet who work with patients, mostly children, suffering from frequent seizures. One of the most comprehensive books covering the role of a low carb and/or ketogenic diet in the treatment of neurological conditions is Grain Brain by Dr. David Perlmutter, a well known neurologist. Dr. Perlmutter has had a great deal of success using low carb, grain-free, and ketogenic diets in the treatment of thousands of patients with neurological disorders. However, it’s important to remember that while these very low carb diets are helpful in treating these conditions, it’s unknown whether or not these restrictive diets would be necessary to prevent these conditions. Ultimately, I’d personally reserve the use of a ketogenic diet as a treatment for neurological disorders rather than a long term preventative diet. On the contrary, one study demonstrated a decline in overall mood in subjects on a low carb diet, energy-restricted diet compared to a low fat diet, while another showed a decline in mood in female cyclists following a low carb compared to moderate and high carb diets. (12, 13) There hasn’t been a ton of research on this issue, so ultimately you’ll have to determine for yourself what the appropriate level of carb intake will be for your particular mood issues. I’ve seen plenty of clients (myself included) who find that their levels of anxiety skyrocket on an excessively low carb diet, so what works for one person (or a rat!) may not work for you. Whether or not carbs are at play in your anxiety or depression, there’s a major role for a healthy diet and ancestrally appropriate lifestyle. I do believe food is medicine when it comes to mood issues, and I’ve seen multiple clients get off their antidepressants after making targeted, individualized changes to their diets, even if they were already eating “Paleo”. And none of these improvements required strict carbohydrate restriction, so a moderate intake on a nutrient-dense diet may be enough to see positive changes. PCOS is an incredibly common endocrine issue in young women, with a prevalence as high as 15%-20% of women. Typically, PCOS affects ovulation and menstrual function in women, and can also cause an androgen excess. These changes are the root cause of many of the most frustrating symptoms, including amenorrhea, acne, hirsutism (male-pattern body hair), weight gain, dandruff, thinning hair, and mood issues. One pilot study found that overweight women following a low-carbohydrate ketogenic diet lost weight, reduced their testosterone levels, and decreased their fasting insulin. (19) These women also experienced non-significant decreases in insulin, glucose, testosterone, HgbA1c, triglyceride, and perceived body hair. Two women even became pregnant during the study, when they had previously been experiencing infertility. But before those of you with PCOS jump straight on a ketogenic diet, it’s crucial to note that there was no control group in this study. So it’s hard to know if the ketogenic diet was really necessary to get these results, or if a significant reduction in sugar, processed carbs, and grains might have been adequate, while still allowing these women to get a substantial amount of carbs from Paleo-friendly fruit and starchy vegetables. You may find that the right diet for you allows for plenty of healthy variety, and that a reduced carbohydrate, whole foods diet is enough to get you on the right path towards healing from your PCOS. SIBO and GERD seem to be increasingly common these days, likely stemming from our overuse of antibiotics, inadequate exposure to healthy bacteria, poor dietary choices, and high levels of stress. In my work with clients, I’ve also noticed an uncanny connection between SIBO or reflux and a history of binge eating or bulimia disorder, so I’d guess that overeating in general can put someone at higher risk for low stomach acid and an overgrowth of bacteria in their small intestine. You can get great information about reflux from Chris’s free eBook on the topic. And if you’ve never heard of SIBO and you don’t know what the primary treatment for this condition is, I’d suggest listening to this podcast that Kelsey Marksteiner and I recorded for a great primer on the subject. But I’m sure some of you reading this either know what SIBO is, or actually have SIBO yourself. SIBO and reflux are often found simultaneously, so that’s why I’m lumping these two conditions together. One of the primary dietary treatments for SIBO and reflux is the restriction of fermentable carbohydrates, often referred to as FODMAPs. But some practitioners even recommend using a completely low carbohdyrate or ketogenic diet, as some bacteria can feed off of low FODMAP carbs and starches. It may depend on the severity of your SIBO case, and some SIBO patients do just fine restricting FODMAPs and simple sugars. And if you’re eating too many high FODMAP veggies on a low-carb diet, you may actually make the problem worse! Generally for reflux and/or SIBO, I tend to recommend a lower carbohydrate diet which restricts fermentable carbohydrates and sugar, but allows for a moderate amount of starches such as white rice or potatoes, which are often well tolerated. So while a strict low carb or ketogenic diet may be useful in dealing with these digestive disorders, I don’t think that it’s necessary to stay on these diets indefinitely to get the results you’re looking for. At the risk of opening a giant can of worms, I’ll briefly mention that there are many scientists, doctors and clinicians who promote the use of a low carb ketogenic diet for cancer. The major argument is that unlike the majority of our body cells, cancer cells lack the ability to metabolize ketones, and require a significant amount of glucose to survive and replicate. Since a ketogenic diet can keep blood sugar low, the theory (in a nutshell) is that cancer cells won’t be able to survive and thus the cancer will not grow and metastasize. Some doctors have reported amazing results in the use of these diets in helping their patients go into remission. There are a few studies that show potential benefits for some (but not all) cancer patients, especially brain cancer. (20, 21, 22, 23, 24) But another study showed that in 16 patients with advanced metastatic cancer, only 5 of the 16 patients recruited could even stick to the diet, and none showed any remission of the cancer, so it likely depends on the type and severity of the cancer whether or not a ketogenic diet will make any difference to the outcome. (25) And none of these studies show any data that suggests a ketogenic diet would be necessary or helpful to prevent cancer. When it comes to dietary recommendations and carbohydrate restriction for cancer patients, I don’t know if there’s enough data on the subject to make a strong recommendation either way. Ultimately, we’ll always have some level of sugar circulating in our bloodstream, and while I agree that good blood sugar control is likely helpful in preventing cancer in the first place, I’m not entirely convinced that a ketogenic diet is the best diet in all cancer patients, especially for those who are in more advanced stages. And having had relatives die from advanced stage cancer, I can also understand the fear that would come from feeding a cachexic cancer patient a hypocaloric ketogenic diet if they’re already wasting away. For now, I’ll “plead the fifth” on this topic, and wait and see if more studies come out in the future supporting this particular therapeutic use of the ketogenic diet. As you can see, a low carb diet can be a good choice for certain people, as long as they pay attention to several important factors that can ensure their nutritional status isn’t negatively impacted by this somewhat restrictive diet. The biggest issue I see with many people who first switch to a low carb diet is that they’re unintentionally undereating, largely due to their discomfort with eating enough fat to make up for the carbs they’re not consuming. While this can be okay in the short term, especially for weight loss, over time this can lead to malnutrition and unhealthy stress on various organs, and may even cause weight gain as the body tries to conserve energy. If you’re on a low carb diet, make sure you’re eating enough to support your daily activity and to get a wide range of nutrients. Also, even though some of your favorite foods might be low carb – like bacon, cheese, steak, and butter – make sure you’re still eating plenty of nonstarchy vegetables. These will help keep your gut bacteria healthy, as well as providing a variety of important minerals that can get deficient on a low carb diet. Potassium is a particular mineral that is prone to deficiency on a low carb diet, so eating a wide variety of vegetables and low carb plant foods at every meal (in addition to nutrient-dense animal foods) will help keep you nourished. Avoid low carb products sold in the grocery store. These products often have artificial sweeteners and other additives that make them taste similar to their high carb counterparts, and sometimes can cause digestive distress in larger quantities. If you’re going to do a low carb diet, make sure you’re still eating real food and not buying a ton of low carb packaged food to replace the junk food you used to eat. It’s important to keep an eye on your blood work as well, since not everyone experiences positive results on a low carb diet. Franziska Spritzler is a low carb dietitian who explained the adverse effects she experienced on a low carb ketogenic diet, with her LDL cholesterol and particle number shooting up to a potentially dangerous level. While this won’t happen to everyone, if it does happen to you it may be a sign that the diet isn’t a great choice for your long term health. Finally, pay close attention to how you look, feel, and perform while on a low carb diet. While you’ll need to give it some time to truly determine if the diet can support your activity, energy, and daily lifestyle, it’s hard to know who will thrive and who will crash and burn on a long term low carb diet. If you’re experiencing negative health effects like excess weight gain, sluggishness, mood issues, or poor athletic performance after trying the diet for several weeks, it may be a sign that you’d do better on a more moderate carb approach. Don’t let someone else’s experience with the diet dictate how you should expect to feel. You’ll be your own judge when it comes to figuring out the most appropriate diet for you. And if you need help figuring out how to optimize your carbohydrate intake, don’t hesitate to get in touch with me – I’ve worked with dozens of clients in this situation and can help you figure out if a low carb diet is right for you. You can sign up for a free 15 minute consult and we’ll discuss your nutrition and health concerns and determine if you’d benefit from professional and personalized guidance. Now I’d like to hear from you – what side of the carbohydrate “fence” are you on? Low carb? Moderate carb? High carb? How did you figure out the right diet for you? Share your story in the comments below! I was diagnosed with PCOS 24 years ago when I was 19. I have never had more than 2-3-4 periods per year and also have never had 3 periods in a row. Three months ago I started ketogenic diet. Not only did I kose weight but my blood sugar tests came back as in the normal range (I had had insulin resistance) and surprisingly I have had 3 periods in a row, each exactly 24 days apart! My body now has a rhythm. I cant believe it! A lot of diets programs often restrict your food alternatives however carb cycling does recommend some of general healthy eating guides as good as low carbs intake. The carb cycling meal plans diet compels the body to metabolize fat and protein to produce a matter as known as a ketone. So, the body burning fat for energy will generate Ketones. I just wanted to share that a D2 obese client of mine has made significant progress over the past 6 months. As you noted, she had all the chronic disease markers including high cholesterol, triglycerides, low HDL, high LDL, low Vitamin D etc. Everything has significantly improved on a healthy low-carb diet including her A1c from 8.5 to 5.7 and all her cholesterol markers. She has also lost 43 pounds and has hit a plateau occasionally but exercise seems to help move the needle. While she still needs to lose more weight, seeing the results so far certainly has motivated her to continue. Am typically low carb person. Have difficulty digesting carbs….sugar gives me too much kick than I can handle…. After many trial n error have been able to eat ghee in combination wid following spices: cloves, ginger, Turmeric,cinnamon, asfoetida, jeera. I appreciate the balanced point of view that Laura presented here and the point she made that ketogenic diets are not for everyone and the importance of assessing several factors, including exercise when deciding whether to pursue a very low carb or low carb diet. I took a similar nuanced approach in my recent blog post on ketogenic and low-carb diets and also think it’s a good idea to work with a nutritionist and to be monitored during the process. Stop the eggs!! Eggs yolks cause really bad GERD for most people. I’m bipolar who was eating a semi-vegetarian diet but still ate meat – just a lot more plants than animals. I recently started a low-carb diet. The first week was a fruit and veg cleanse during which time my moods started going all over the place. The next week the nutritionist added back in protein, but I can’t stand the amount of meat expected to be eaten in a day. I’ve been on pretty much a mixed state roller-coaster for over a week now. I thought I was crazy because every article says how great low carb diets can be for mood disorders. I’m very glad you made mention that that is not true for everyone because this has been “Heck” on me. I’ll have to really push the nutritionist to put away the standard guidelines of this thing and find a better balance for me. Did you add fat? A true ketogenic diet is about 80% fats, 15% protein ( not a ton, or it effects your insulin levels, and 5% carbs (mostly leafy greens or cruciferious veggies). Give that a try for a month and see if it helps you. Thanks Laura for this informative article explaining how a low-carb diet can benefit certain segments of the population. I have found that a Paleo diet works well for my clients in general and especially for people with prediabetes and type 2 diabetes. I have seen the weight peel off an average of 10 pounds a month usually with exercise, blood sugar drop significantly within 6 weeks, and overall improvement in energy and mood. I am glad that you mentioned customizing the diet to the individual because people with diabetes are going to have different carb restrictions than people with autoimmune disorder. Other influential factors are exercise, including the frequency and intensity. I am a type 2 diabetic who exercises rigorously, am at a normal weight, and have eaten a low carb(24 grams per day), for almost 12 years. However, I still have some extra fat I would like to see go and the lean muscle mass show. I am interested in the Ketogenic diet and wondering if increasing my fat will do the trick. I’ve been experiencing all the benefits of a Paleo LCHF diet for over a year and a half now. Though I strongly believe in it, there is something that’s been annoying me for a while and I just can’t find a reasonable explanation. Both my triglyceride level (436 mg/dL) and ApoB/ApoA1 (1,1) ratio are way too high for a low carber. Have you ever seen cases like this in your practice? Could you recommend an article on this? When my LDL went up dramatically on low carb paleo. I cut out all saturated fat – all the coconut cream, oil and dairy fat. Cut obvious fat off meat etc, switched to monounsaturated oils instead. I also increased carbs to 100 grams a day, spread over 3 meals – and only ate carbs with protein (to reduce effect on blood sugar) and ate only paleo carbs – pumpkin, sweet potato mainly. My LDL dropped really quickly to a decent level. I’m really grateful for both the article on eating more carbs and this one. I had been on a low-carb diet for over and year and a half for SIBO and just kept cutting things out to get my health to improve. Reading the post about needing to eat more carbs made me wonder if I was now eating too low carb. Adding more carbs immediately improved the non-digestive health issues I was having and I am now feeling perfectly healthy! Thank you! My diet is basically meat, fish, poultry, game, vegetables, dairy ( Total Greek yogurt, cottage cheese, creme fraiche, clotted and double creams, fromage frais and cheeses of all types). The only fruits I eat are strawberries, cherries and melon as others spike me. I cook with beef dripping, lard, unsalted butter, pure butter ghee (without ethyl butyrate), Extra Virgin olive oil and rapeseed oil and use cider vinegar and sesame oil in dressings. I make my own houmous and stock and have given up both Diet Pepsi and artificial sweeteners. I don’t eat sausages (fillers) or bacon (nitrates). I love the results. Eating healthy is the way to go! I’ve been following a low carb/high fat Paleo diet for quite some time and feel well. However, I am hypothyroid (on Westhroid P) and still suffer occasionally from adrenal issues after an episode of full adrenal exhaustion in 2007. My carb intake varies from around 10% to an occasional high of 20% depending on if I eat any fruit or starchy veggies. Most of my carbs come from non-starchy veggies, nuts, hemp, and flaxseed. I am a mixed metabolic type but lean toward the protein type end of the spectrum. My problem is my total cholesterol is too low. My LDL is low and HDL is high but try as I might I can’t my total cholesterol much above 150. I did have total colectomy surgery in 2011 due to nerve and adhesion complications from a small bowel and colon resection in 2007 that was necessary because of a colon perforation. I’m sure the surgeries have impacted my ability to raise my cholesterol to a more healthy level, although my levels have always been below 200 and were not much above 150 prior to the surgeries. Any input on what may be going on and suggestions are appreciated. hi there, great article. I was wondering if you could share your beliefs on this subject. Do you think humans were designed to consume carbohydrates as the bulk of their food? Since most sugars were not around before the industrial age wouldn’t that play a part in the health problems we have today ? and if carbs are not so bad than why are we getting fatty liver? fructose is metabolized in the liver and fruit has that and so does refined sugar and honey. and do you agree that when the liver is metabolizing the fructose that it can’t metabolize anything else and stores the rest as fat? thank you so much for this forum. I just wanted to know your thoughts on this? Hi Laura – thanks for a great post once again. I have high LDL-P – found I have endotoxemia. I read on on of Chris’s posts that he fixed high LDL-P by repairing the leaky gut issue. Do you know what protocol he would have used for this..? Perhaps including RS may have played a part..? My Trigs are 60, so I believe I can afford to increase my carbs which may help too. You’ll need some antimicrobials to help with any gut infection (either antibiotics or herbal) plus gut healing food/supplements and probiotics. Or u could just have ur metabolic type run so u know exactly what u should eat. Metabolic Typing IS PALEO!!!! If ur ancestors came from a jungle u don’t think they are adapted to eating high amounts of carbs? Why is this always the elephant in the room with Paleo people? I have no idea how a ‘diet’ expert could not take into consideration biochemical individuality and Metabolic Typing. Makes NO sense. I’ve been on a ketogenic diet for about a year and it has dramatically helped my brain energy stability and other brain issues (I have TBI from 8+ concussions since I was 12). March of ’14 my cholesterol tested high, at 451, with Triglicerides of 152, HDL of 42, LDL Calc of 379, and non-LDL calc. of 409. I live on Pikes Peak and run or bike for 10-20 hours a week. I feel better than I have since I was 20 (I’m 43 now) and weigh a muscular, lean 200 pounds at 6′-2″. I easily engage in 8+ hours of aerobic running or biking without any food and without hunger. My understanding is it’s the oxidized LDL that is the issue and my diet has very little risk of oxidized LDL. What tests should I be getting done to see if there is a real issue here? My doctor is trying to be patient, but of course those number go against her training and those with whom she consults. Can someone help point me in the right direction here please? You can get your LDL particle number tested, as well as an arterial calcification score (coronary calcium scan). Have you thought about using any supplements that can help lower cholesterol? You should check out Chris’s High Cholesterol Action Plan for more advice on that. Thank you, Laura. I agree the LDL-P makes sense for the next blood work. That result will help drive what the next steps are. According to lipid researcher Dr. Chris Masterjohn, LDL particle size isn’t a useful diagnostic measure for CVD risk (http://tinyurl.com/c9bgrz6) (http://tinyurl.com/cvawhbz). I’ve been doing a relativley low carb diet for 51 weeks now. I shoot for about 50% calories from saturated fats, 30% from protien and the rest from carbs. I average 1800 calories a day. I lodt 139 pounds and had been averaging 2.25 pounds a week in loss. Overall I feel great for a stil 450 pound guy. I can highly recomend this approach. In order to sleep better I tried increasing my carbs. Overall calorie intake was steady. But I did gain back 2 pounds. And I didn’t sleep any better. So I learned that ain’t the problem. So I cut back and look elsewhere for the cause. Note of warning if you switch over to a low carb diet, Some time during the first week you will have a few days of insane cravings. They go away about day 3 or 4. If you’re feeling better stick with it, if not, loom someplace else. There is no one diet fits all. Interestingly, we in the ancestral health community would consider a 20% carb diet “moderate” carb, though it’s certainly low compared to the standard Western diet. I found that staying hydrated helped reduce cravings more than anything else; part of staying hydrated for me is eating enough salt. For urgent cravings I eat something fatty and have a beverage, then distract myself. Also, I read somewhere that Glutamine supplement can help with sugar cravings. Has anyone tried it? Honestly, when I’m having a craving for something sweet, while they recommend against them. I go for the low NET CARB protein bars. They have sugar alcohols that supposedly don’t affect your blood sugars, but it usually kicks the urge for something sweet and carby. Good luck! i have sibo and gerd.You mention to minimize fermentable carbohydrates can you elaborate on what those are?Also can you elaborate on what foods are high in FODMAPS? I’ve just recently discovered Chris’s website after suffering from GERD & IBS. After extensive tests all my Drs just hand out more and more drugs, which of course I don’t want to take but more importantly they have caused terrible side effects. I’ve been drug free for 6 months and trying to self regulate through diet. I am now convinced, after reading your ebook that I have been suffering from a major overload of bacteria in my gut. So I’ve been trying to eat low fodmap foods. I’m so confused though on how many and what type of carbs I should be eating? And what are whole carbs? How can I ensure I don’t spike my blood sugar levels? I’m determined to regain my health even though my Drs think I’m crazy stopping all the drugs. I would love to hear from you Laura or Chris. Thank you so much for helping so many suffering people like me. I second Sarah’s questions. I have SIBO and gastroparesis. I have gained 15 lbs in under a year without changing my diet at all. I eat only cooked veggies like carrots and zucchini as they are the only ones that seem to stay down but I fear I will never lose this weight…it seems like a catch 22? I am in the same situation I need help with what to eat ? Laura and Chris, ever since reading your articles on why some people need to eat more carbohydrates, you two have basically turned my life around. I had been struggling with Hashimoto’s and non-stop thyroid flare-ups and constant fatigue were crushing my life. I have the help of a great naturopath that has me on a solid autoimmune paleo diet and good supplements, but your articles made me realize how low my carb intake had gone (thanks, Mr. Bulletproof!). For the past month, I have been eating a lot more healthy carbs like winter squashes and green plantains (along with my healthy fats, proteins, and other vegetables) and I feel a thousand times better. So, your articles were a great “AHA!” moment for me. Thank you both for sharing…to the staunchly opposed people out there, don’t forget how different we all are. After all, Natasha Cambell-McBride’s GAPS diet is a low-carb diet, and it was specifically to relieve such conditions. My 6-years-old daughter suffers from ADHD, and I have a hard time convincing my family that a low-carb diet (and specifically the GAPS diet) would help her, so I am trying to collect arguments and ammunition. Your response would be greatly appreciated. Thanks. I have a house hold full of ADHD and you may want to look for information from Dr Daniel G. Amen. He is a leading authority on ADHD. I have his book and while he has 7 different classifications for ADHD, he recommends low carb diet for 6 of the 7. It is hard to get a child to buy into a low carb diet, but its worth the try and you need to get creative, especially at lunch. We feed our kids lots of lettuce boats i.e. lettuce boats with taco fixings etc.. I also buy mountain bread wraps (from Australia) 1/2 a wrap contains 7 grams of carbs and I add peanut butter and mashed up raspberries to make roll ups. It has to become a way of life. I’m just starting a very low carb diet, but not by choice. Even though I’ve been Paleo for over 2 years, and AIP for more than 3 months, my blood sugar levels have been getting worse this fall. Even adding just 15 grams of carbs (fruit or plantain) to a plate full of meat, low carb veggies and fat can cause my BG to exceed 140. But I also have significant adrenal and thyroid issues, too, and I’m worried that going very low carb will mess up those functions even more. Unfortunately, I’m allergic to coconut, which is often useful in low carb diets. I am working with a FM doctor, but we only get to talk about once a month, and I’m really struggling to try to figure this out in between phone visits. I think it may be time for me to try working with a Paleo nutritionist. I’ll get in touch with you soon, Laura! Debra, When you follow a LC diet, you become more sensitive to carbs as the body stops wasting energy producing carb-metabolizing enzymes. In the extreme LC diet, starvation, you’re apt to become temporarily diabetic. This means that when you follow a LC diet you should stick to it and not follow it only on some days. If you want to see if you’re really becoming glucose intolerant, increase the carbs a lot for two or three days and then see what 15 g of carbs will do to your blood sugar. Thanks for sharing the information, Gretchen. I’m still in the process of cutting down on carbs and testing my BG as I go, to see what happens as I slowly reduce. I haven’t fully started a very low carb diet yet. But I’ll keep what you mentioned in mind. shows what happened to one thin nondiabetic woman when she did the reverse of what you’re doing. She was on a LC diet on which her BGs went high after carbs and then switched to a vegan diet in which her BGs stayed normal even after 75 g of glucose. Experimenting vigorously with my husband, I’ve discovered that he’s a hypercarnivore (quickly digests meat to extract the glucose), and have cut back on his protein, as well as increased his leafy greens considerably–he now has to have them WITH EACH MEAL in some fashion (sandwiches, collard wraps, regular wraps, or a salad–even ground up and added to meat loaf before baking) in order to keep his blood sugar under 100. Hmm… I’ll have to look into that, Wenchypoo. I just had a meal with only pork, lard, and cooked greens and onions, and my BG was 118 2 hours later. And I feel like I’m starving! I’ll have to discuss this with my doctor and dietician. Thanks for sharing! Low carb Paleo has helped reduce my fibromyalgia and CMV symptoms greatly over the past three years, and I’ve found that after an initial adjustment in about the first year, my carb needs increased. I’d love to see some discussion of how we may go through long-term phases with adapting to a Paleo/low-carb diet (I suspect an “arc” of adaptation). It’s great to see attention paid to customizing this nutritional paradigm to individual needs, of course, and I also think that we have to look at how short term cycles (seasonal, stress, exercise intensity – even a rough week) and much longer ones (adaptation to Paleo or low-carb eating, hormonal changes, weight loss, increased/decreased muscle-mass) affect dietary prescriptions. Hopefully, for most people, the accurate signaling created through healthy eating plus a long lesson in self-awareness will make this a natural process. Good point about short-term influences on nutritional needs. Sometimes I think people forget that even day to day their nutritional needs may vary! Thank you Laura for another awesome article! 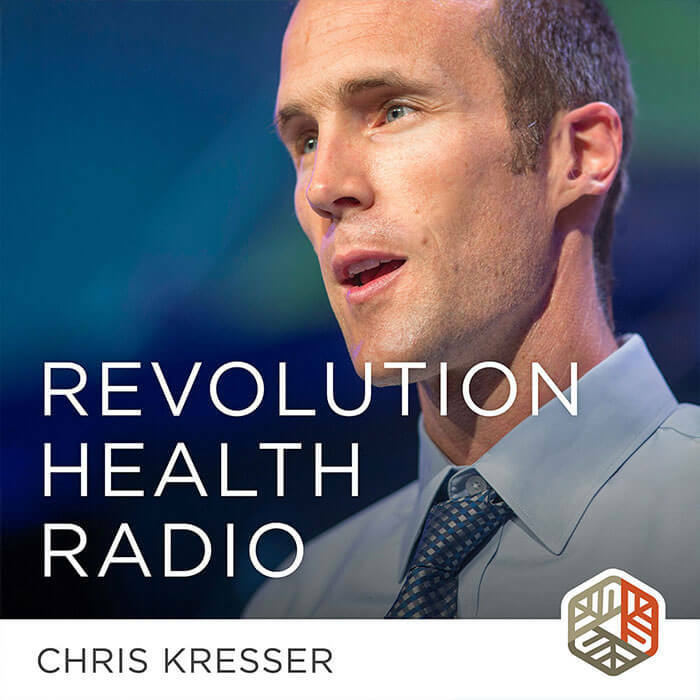 As a fellow practitioner, it’s always important to figure out the biochemical needs of the patient above all else, and I Iove how you and Chris embody this approach, especially when it comes to carbohydrates. From a personal standpoint, I was able to use a ketogenic diet to help overcome a genetic predisposition to my body’s inability to make enough methyl and corresponding copper overload which lead to massive depression, high anxiety, bulimia, and lack of menstruation. Menstrual disorders almost always have a copper overload component so it makes sense that a VLCD would create a pathway for healing since plant-based diets are very high copper diets. And copper/ zinc dysregulation impacts many pathways, especially those related to cognitive performance. Regarding low fluidity and mucus production, folks that make too much methyl tend to have this issue so it makes sense that they would struggle on a VLCD since folate is a powerful demethylating agent. Once again, thank you for a wonderful post and the amazing work you are doing in the world. After years of fiddling with my carbs, I still haven’t nailed it. I’m pretty sure VLC is not for me, but as I experiment with increasing carbs, I run into problems that probably have more to do with what the carb sources are stirring up in my gut. I get symptoms of inflammation (I can see it in my skin and my eyes pretty quickly). I’m experimenting with white rice now, as eating sweet potatoes regularly caused problems. I have a feeling that a lot of people think they do better on low carbs, because of gut issues. It’s definitely a confounding variable. Sometimes carbs that are high in FODMAPS, like sweet potatoes, can be more of an issue than those that are low in FODMAPS, like white rice. This is especially true for people who have gut dysbiosis and/or SIBO. Thank you for readdressing this topic. I’m a bit surprised that you did not refer readers to perhaps the best and most practical book on the topic of keto-adaptation, The Art and Science of Low Carbohydrate Living, by Jeff Volek, PhD, RD and Stephen Phinney, MD, PhD. These gentlemen have been researching the topic for many years with both animal and human subjects and have the easiest-to-understand explanation of the hows and whys of a healthy low-carb diet. The book was written for health care professionals but the average person with an interest in nutrition can easily absorb the science. What the above article only skims, Volek & Phinney discuss in-depth. Generally speaking, the message is that many people thrive on a low-carb diet, provided they eat a lot of the right kinds of fat, a moderate amount of protein, and supplement with salt. Based on my reading of Volek and Phinney, I know that some of the advice given in the article above is problematic: “If you’re experiencing negative health effects like excess weight gain, sluggishness, mood issues, or poor athletic performance after trying the diet for several weeks, it may be a sign that you’d do better on a more moderate carb approach.” Volek and Phinney make the point repeatedly that it takes at least a couple of weeks for a person simply to become keto-adapted so that their bodies are efficiently burning fat instead of carbs. If you give this diet several weeks and don’t feel well, that’s to be expected. At that point you haven’t been on the diet long enough to know whether it will work for you. You must give the diet at least a couple of months, AND devise a diet plan where you’re eating the proper amounts and proportions of fat and protein, before you’ll be able to assess whether it has benefit for you. If you lose weight when keto-adapted and feel well, Volek & Phinney would recommend that you stay that way for the rest of your life. Can it be done safely and healthily? Yes. Many of our hunter-gatherer ancestors ate a ketogenic diet because that’s what was available to them, and they thrived for generations. We may not all want to eat that way today — personally, I can’t become totally keto-adapted for a variety of reasons — but it is a viable alternative that’s worth investigating. What’s your evidence that many of our hunter/gatherer ancestors ate a ketogenic diet? In the case of the Inuit, that idea has been undergoing a lot of scrutiny (see the FreeTheAnimal blog). Why is there so much concern over LDL levels? I thought cholesterol was good for you (hormones, cell membranes, brain, nerves, etc.). Because we still don’t know with any certainty that having elevated apo-B or LDL-p (particle number) does not increase the risk of artheroscelrosis, other things being equal. Until we know this I’d rather err on the side of caution. When my LDL typically sits in a range of 150-180mg/dL (which I’m totally comfortable with given that HDL is in the 80s and Trigs are in the 60s) but then I go very low carb and LDL shoots up to 230mg/dL while my mood and performance also decreases this begs the questions – is a VLC diet optimal for me? Probably not. 230mg/dL of LDL, in & of itself says…what exactly? Not much. All-cause mortality curve (dudes) favors you. https://www.dropbox.com/s/hp4i60l5fvp4xjy/All-cause%20mortality%20v%20TCholesterol.jpg?dl=0 For women (due to hormonal differences) a higher TC level is probably preferable to a low one – all other things being equal – & especially the older you are! ApoB helps transport lipids. You eat more lipids. That’s just adaptation. The problem is the interplay between everything else that has ZERO to do with how much fat you eat (except the kind of fat). Your sleep, your detox abilities, your circadian timing, micronutrient deficients, mitochondrial integrity, immune reactions. You have to distinguish between studies making correlations & being able to quantify it within a causal framework. Since atherosclerosis is a gradient-driven process, assuming all other things are equal (diet, lifestyle, inflammation, etc.) if one person has high LDL-P and the other has normal LDL-P, the research we currently have suggests the person with high LDL-P will be at higher risk for CVD. As we learn more about genetics and epigenetics, we’re finding that different people react to foods in different ways. A VLC diet may be optimal for some, but may very well increase CVD risk for others. Studies may not pick up on this well because they deal with averages. If some people’s risk goes down, while an equal number of people’s risk goes up, the net affect is nil—but that obviously doesn’t help you if you’re one of the people whose risk went up. – endothelial function & physiological (exercise) assessments are, in totality, quite superior to apoB. So while it certainly is interesting & wouldn’t put so much certainty in needing to lower it if that means going against better understood principles & other valid markers contradicting it. It just so happens that the higher your cholesterol in old age, the better off you are in healing, resisting injury, and other things–same goes for BP. A systolic of 150 or more is actually BENEFICIAL at that age, because it assists in circulation when the rest of the body has slowed to a crawl. Wenchpoo, I am in my mid- 70’s, BP 115/65 eat right, workout, run, and nothing has ‘slowed down to a crawl. Don’t generalize, people are individuals, which is the point of this article? It might not be the “Low Carb” or “Ultra Low Carb” diet that is spiking your LDL particle # but what your consuming when going low carb. Also find out what your APOE status is. Mine is E3/E4 and I have to be careful with too match saturated fat from Animals according to my Dr. (Rakesh Patel) but I a sneaking suspicion that its the high amounts of Omega 6’s found in conventional beef and cheese that are not grass fed sources that attribute to this. In one of Chris’s podcasts way back when he mentioned something about Oxidized Linoleic Acid being assoicated with dense LDL particles that I could see being found when consuming convention animal products. Also, if you’re consuming those so-called “low-carb” tortillas and breads, you’re still consuming WHEAT. I have read in several places that its not total LDL that is a risk factor for atherosclerosis, it’s only small LDL particles: a subclass of LDL. These small particles penetrate into arterial walls where they are oxidized (thus “oxidized LDL”) and consumed by macrophages. A macrophage full of oxidized small LDL eventually leaks or bursts, resulting in inflammation. The body covers the inflammation with “plague” and the ensuing viscous cycle hardens and may block the artery or cause an embolism. Your understanding that cholesterol is needed is correct. Larger LDLs are important as they deliver cholesterol and some triglycerides to cells that need them or to the liver. They are what’s left of VLDLs after much of the triglyceride load they carry from the liver has been been unloaded to cells for storage and other uses. Not LDL. If your ratios are fine,than no worry about cholesterol. But LDL is a different animal. Also, do PLAC test,if you worry. No need for a prescription through PrivateLabmd. Ive seen incredibly good PLAC values in prople that have heart disease. You CANNOT use one indicator to determine your CVD risk. EVERY marker needs to be looked at! 1. Very low carb diets are not a short-cut to staying lean. As Gary Taubes or Jimmy Moore will attribute, all that cream and bacon can and will make you fat if you over consume it, even if you are eating <30g carbs a day. VLC is not a free pass to being a glutton. 2. Very low carb diets and high intensity exercise do not mix well. I almost broke myself trying to stay VLC while also doing CrossFit. Gluconeogenesis simply doesn't cut it when you're smashing yourself daily at the gym in glycolytic pathways. 3. My LDL and apo-B really shot up on a VLC diet. Once I added carbs back LDL and TC dropped about 25% while HDL and trigs remained good. i.e. My blood work worsened on VLC. 4. The vilification of carbs is unwarranted. 'Carbs' are being treated now like 'fat' was in the 80s. Just as fat won't make you fat, carbs won't make you fat… give that you eat high quality (Paleo) carbs in reasonable quantities. No need to fear carbs, people! 5. I don't think macronutrient breakdown makes any difference to body composition when carbs are in the 10-40% of calories range but I certainly feel much better (especially mood, energy and sleep) at the 20-30% range. In summary, if you are relatively lean, healthy and active and therefore don't necessarily NEED to go very low carb then please proceed with caution. (Very) low carb diets are not optimal for everyone, I assure you. Excuse me, I don’t see in this article a reference about the hormonal impact noticeable in the first months on Low Carb diet supported with Energy from fats…,and then the eagerness for stay active, this is my experience and the reason why calories in- calories out thorie comes to an end in real life. Any suggestions on how to find the right amount of macronutrient intake based on my activity level, goals, etc? Thanks! Another great article Laura! I loved your first article and “staunchly” agreed with you. Being active and now healthy I do much better with an increase in the right types of starchy carbohydrates–about 30+ ish%. Varies with training vs rest days. Where am I on the fence? Low carb for all the reasons/conditions you stated in this article (and the last:). Mod – higher carb depending on activity levels/genetics/health/how you feel/how you perform. You have to experiment. You spelled it out perfectly in the 2 articles. It’s not rocket science and there’s no one size fits all. I think way too many people are looking for a quick fix or that magic bullet. Takes effort and experimenting. I have followed paleo-immune diet for about 4 months to deal with eczema. It took away my food cravings, cleared up most of the eczema and I got quite thin. However, I developed very dry crusty eyes in the morning, had difficulty sleeping for more than a few hours and felt like I was drying up. I wasn’t aware that my carbs were low because I ate a lot of vegetables but they were all low starch and low carb. I added in more carbs and starches and feel better. I am afraid of gaining weight but don’t have a choice. I’m apoe3/4 so I don’t think low carb would be good for my lipid profile. I have about 10-15 lbs to lose and am trying to do it via Carb 50% (avoiding potatoes and whites) Fat 30% (Mostly Mufa) and Protein 20% (Mostly plant based but some chicken/fish). After my next lipid profile (late November), I’ll be in a better position to comment. From what I read, those who are apoe 2 would respond well to a low carb diet, so I guess our genetics do determine our optimal diet. I have been on a low carb diet (autoimmune paleo) for about a year now and my LDL has shot up, as you mentioned – Why is this and what do I do about it? Hans Selye’s framework of adrenal stress is often used to explain LC-induced adrenal fatigue. Problem is, it is quite outdated (although historically valuable). A broader & more modern consideration of the HPA axis feedback system doesn’t support the idea that low levels of dietary carbohydrate per se cause or trigger adrenal stress responses. There is much more to be explained by looking at hypothalamic inflammation (toxins) via mismatched circadian shifts (sleep) or even ‘simple’ “hyperglycaemia driving reverse electron flow from mtG3Pdh through complex I to generate insulin resistance” [Petro @ Hyperlipid]. & so on & so on..
Have you considered reassessing the validity of Hans Selye’s framework as regards the supposed LC-adrenal stress connection? How much impact does a low carb diet have on gut flora? Wouldn’t it be best for people on low carb diets to take prebiotics if they tolerate them? Absolutely. I’ve mentioned this elsewhere on the blog and on the podcast. I follow a LC diet since 2007, I started it to control migraines which were looking like an epilepsy on EEG. It worked, but at the same time my allergies improved and I stopped having all sort of infections. I lost only 30 lbs. I would gain weight now (but not at the beginning of my diet) even limiting carbohydrates if I were eating as much as before, but my appetite is low now. I would add to your list of the people who could appreciate LCarbing more than others the people who have frequent infections. I have LADA and switched to low carb within weeks of diagnosis. I lost over 20% of my body weight within 8 months. That was almosr 6 years ago, and the weight is still gone. My blood sugars went sky high last winter/spring despite training for a triathlon, so I went on insulin this summer. The readings are better, by still not where I want them. I have also found that keeping a food diary with an app like MyFitnessPal keeps you on track with your carb/fat/protein intake, and you are less tempted to over snack if you are recording everything. if someone is obese, wouldn’t it generally make sense to go on a LCHF diet unit a desired weight is reached, then move to a more paleo style diet to maintain that weight level? Once they have reached their desired weight their activity levels will most likely have increased thereby offsetting the increase in calories. I agree 100% that I feel great when I adopt a Low-carb diet. However, I have a lot of trouble sleeping when I do. Eating low carb causes me to wake up four or five hours after going to bed, unable to go back to sleep. Am I not eating enough protein or fat? Am I not getting enough calories? If anyone has any insight, Laura or Chris, please share. I really want to improve my health, but I just can’t seem to sleep enough. Thanks for reading, hopefully someone responds. I’m not an expert like Laura or Chris and this probably goes against the mainstream advice on this site, but I used to suffer from the same problem when I was low carbing. I now consume most of my carbs either post-workout or pre-bed – I find they help you relax and are more conducive to sleep. My theory is that when you’re low carb and possibly in a calorie deficit, secretion of catecholamines is increased (along with other hormones to optimise usage of fat for fuel) and the main way of off-setting this is by consuming carbs. Carbs will also help you make more serotonin (involved in relaxation) from which melatonin (the sleep hormone) is derived. This is just my personal experience and theory though. Thanks! I’ll be sure to try this out and let you guys know how it goes! If your blood sugar is dropping low overnight, your body will release stress hormones to help bring it back up, thus waking you up. Try eating some whole food carbs with dinner or before bed and see if that affects your sleep! And this wouldn’t interfere wlth my goal of weight loss? Probably not, since not sleeping well is likely going to keep you from losing weight a lot more than a small addition of carbs before bed. 2) ensure that once the sugar is circulating, it goes where it needs to (insulin, glucagon etc.). Last tip: buy a $5 pair of blue-blocking glasses & try to be in sync with natural light cycles. This is insanely effective. If you can’t sleep & you’re in one of the lucky states, try to use edible or vaporised marijuana that is CBD predominant. Or, try CBD oil in its various applications. Ultimately, yes – you can have problems on LC diets. They’re no miracle. But try not to fall into the trap of thinking that because 2 things happen at once that they must be causally related. I would be careful about fish consumption since so many have high mercury levels including tuna. smaller fish. shellfish. preferably wild but certain farmed are OK too. More importantly, make sure your intake of selenium is sufficient. Chris does a great job of explaining this (podcast with a specialist in then matter & episode). Ok, thanks for responding at this hour. This is true. But it’s true of any diet. The underlying prejudice is that a LC diet isn’t palatable. I personally find meat, LC vegetables, and limited berries, plus whole-fat kefir/yogurt with various flavorings much more paletable than a low-fat diet. Yes, this is the problem with many diets. Adherence tends to drop over time because people have trouble sticking with a diet that is less rewarding and palatable. I think it’s not so much palatability as lack of variety and difficulty in social situations in which the majority don’t follow your way of eating. You described my eating style exactly. I’ve been eating this way for several years, and am very happy with the results. Blood sugar stable, lipids normal, and feel great. And I never have had a problem sticking to it. Just feels natural. There are many people who try to replicate some of the junk food they miss on a low carb diet – and there are hundreds of blogs dedicated to low carb dessert recipes. Eating whole foods versus recreating low carb versions of calorie-dense treats is completely different, and unfortunately I see a lot of people going down the road of the excessive low carb junk foods. Reddit’s section called r/ketorecipes doesn’t help, either–they tend to shoot for 5 net carbs/serving, and they don’t care what shortcuts they have to use to get there: flavored syrups, off-the-shelf LC breads and tortillas, artificial sweeteners, etc. Pizza, dessert, and replicant junk food recipes are the faves there. I tried to inject some REAL FOOD recipes in there, but got drowned out because I refused to bow to the artificial ingredients that reign supreme there. I left after about a month. People complained that the recipes I posted links to took “too much time to make” and were “too complicated.” I think they were just addicted to their shortcut products. I see this too, especially in the blogosphere of traditional foods as well. Lots and lots of treats.